For Valentine’s Day 2016, Malaysia’s largest jewellery retail chain, Poh Kong, continues to pamper us with a myriad of jewellery designs, from couple rings and pendants to white, yellow, and rose gold jewellery for her, as well as rings for engagement and wedding on this very special day. These exclusive jewellery that are deemed to make your Valentine’s Day this year an unforgettable one are priced from RM279 onwards. These intricate golden pendant and earrings inspired by the natural beauty of the leaf, designed to stir her senses and capture her heart. Love comes from the heart. The pendant in this series features the heart enclosed in a circle of completion, exuding a sense of oneness between two lovers. 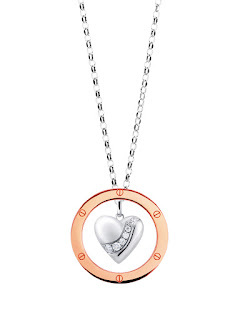 Another pendant features a heart-shaped lock, where you have the key to her heart. 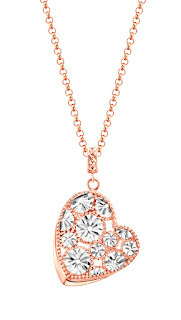 The heart-shaped pendant from Simply Elegant is made of rose gold that is ever so sweet and complemented with elegant white gold, creating immeasurable feminine elegance. 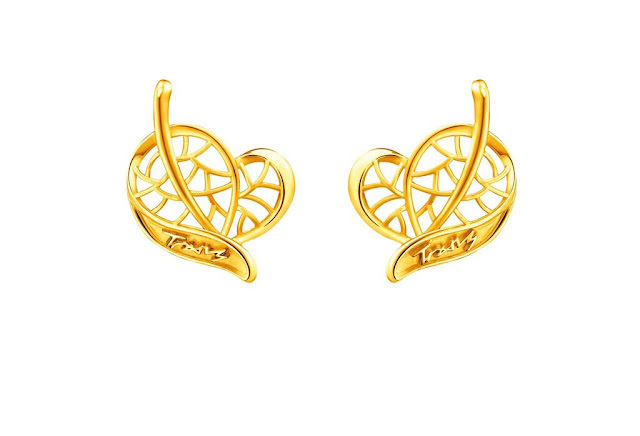 Gift her this exquisite piece which will always remind her of your love for her. Mesmerising as it is, the hollow floral design of these earrings and ring enhances women’s elegance and their alluring fashion sense. 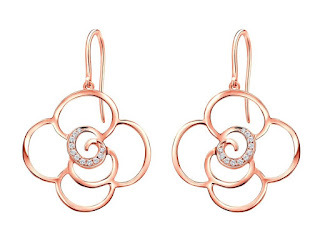 Topped with glistening diamonds, these jewellery are one of a kind, just like how she is to you. As the world’s most brilliant diamond, HEMERA is truly every woman’s dream. 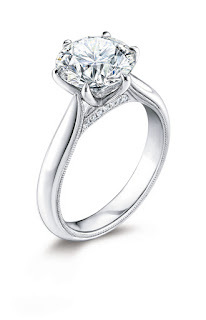 Its flawless 101 facets reflect light in a way that maximises the brilliance and fire of a diamond, guaranteed for her to say yes when the day comes. Two are better than one with this collection of pendants for him and her. 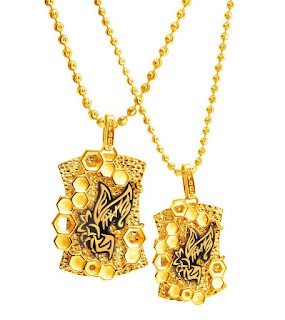 Sweetness come with a decided edge in designs infused with honeycombs and bees. Truly a salute to individual flair and uncompromising style. Poh Kong offers a variety of couple rings with simple yet captivating designs, ranging from white gold, yellow gold, rose gold & platinum, to intertwining white and yellow gold where two becomes one. Declare your undying love this Valentine’s Day with these precious rings and make this day a day to remember forever.